Monitoring the evolution of the openness of civic space is one of the global challenges CIVICUS is monitoring. Some of their findings are particularly worrying. Anti-NATO protests in Serbia. Wikimedia Commons. There seems to be no lengths to which the authorities in Saudi Arabia would not go, to crush dissent and attack anyone thinking of supporting those being silenced. Not content with trying a group of female activists for their efforts in getting a long-time ban on women driving lifted – which was put into effect and turned into a global PR exercise to show how the kingdom was reforming – they recently arrested at least seven further people who were supporting them. In May of 2018, a month before the decree lifting the ban was passed, a huge crackdown against the female activists began. Since then, at least 22 women have been arrested, with several reports indicating incidents of sexual harassment and torture in detention. Eleven of the women arrested are currently on trial, which began last month. The recent arrest of the activists’ supporters, not even front-line defenders themselves, and bizarrely after the ban’s lifting, shows the extent of repression against human rights activists in the country. The shrinking of civic space in Saudi Arabia prompted CIVICUS monitor, an online platform tracing the threats to civil society in 196 countries, to add Saudi Arabia - along with Serbia, Afghanistan, Sudan and Venezuela - to a watchlist of states which have seen a sudden, alarming escalation in serious threats to fundamental freedoms in recent weeks and months. Based on multiple streams of up-to-date and locally gathered data, the Monitor categorises countries based on the state of their civic space – the space for civil society – as either open, narrow, obstructed, repressed or closed. In the countries identified by the Monitor, protesters have continued to participate in peaceful anti-government protests with unfaltering determination, despite their governments using repressive measures such as violence and media restrictions to stop civic action. The inability of governments to crush the peaceful protests and the resolution of societies to keep going until their demands are met poses an interesting question: Are traditional government crackdowns on civic action not as effective anymore? Saudi authorities continue to mistreat human rights defenders and women’s rights groups, with many sentenced to prison on bogus charges through unfair trials conducted by the country’s Specialised Criminal Court. At the same time the alarming rate with which said governments are attacking civil society by restricting freedom of expression and to peaceful assembly, through arbitrary arrests of journalists and human rights defenders, even killings in some cases, urges for a resolute international pressure on Afghanistan, Saudi Arabia, Serbia, Sudan, and Venezuela to stop aggressive crackdowns against their civilians. The monitor identifies civic space in Saudi Arabia as ‘closed’ as authorities continue to mistreat human rights defenders and women’s rights groups, with many sentenced to prison on bogus charges through unfair trials conducted by the country’s Specialised Criminal Court (SCC). In 2018 alone, 148 people were executed in Saudi Arabia according to intentional rights organisations, Human Rights Watch. While the October 2018 extrajudicial execution of Saudi journalist Jamal Khashoggi in the Saudi Arabian consulate in Istanbul provoked strong international calls for an independent investigation into his killing, many states in the international community continue to cooperate with the country thus weakening opportunities for international pressure on the repressive government. In Serbia, Monitor research shows the state of civil space has become narrowed. Since December 2018, peaceful anti-government protests have been taking place every weekend, under the slogan #1od5miliona (1 of 5 million). The campaign’s title comes from Serbian President Aleksandar Vučić’s infamous declaration he will not give into protesters demands even if five million protesters gathered after the first organised rally. The demonstrations were triggered by news of the brutal beating of opposition candidate Borko Stefanović, founder of Serbia’s left-wing party Levica Srbije, in the southern town of Kruševac last November. One of the principal concerns of the protesters in the country, currently in extensive talks with the European Union (EU) over Serbia’s future membership in the regional body, is Serbia’s severely shrunken media space with private media and journalists calling on international organisations and the EU for protection. A monitoring aspect of EU’s enlargement strategy, the European Commission’s 2018 report on the country, commented on the increase in the restrictions on the media and attacks (including the threat and use of violence) on journalists in Serbia from 2014 onwards. With the election of president Aleksandar Vučić, who was former strongman Slobodan Milošević’s Information Minister from 1998 to 2000, the situation for Serbia’s independent journalism has only deteriorated further. In 2018 alone, local reports documented 102 attacks on journalists. 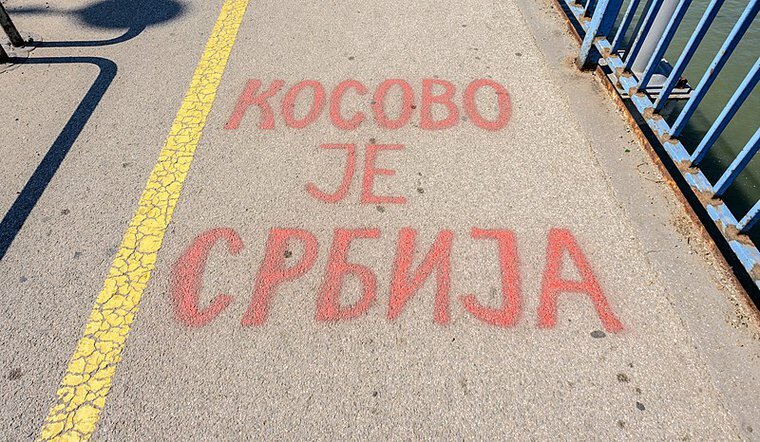 The government has also been involved in an extensive smear campaign, declaring any dissident opinion as anti-Serb and anti-government – uncomfortably reminiscent of Serb nationalist propaganda during the Yugoslav Wars. While many have been comparing the current protests to the successful mobilisation against Milošević in 2000 after the 1999 NATO bombing of the country, adding further resoluteness to the determined Serb population demanding a change, the co-optation of the protests by many far right-wing groups raises concerns for the political situation in the country. On February 22, the Sudanese government responded by announcing a year-long state of emergency (later shortened by parliament to six months) giving the state extra powers to detain protesters and clamp down on public gatherings. Civic space in Afghanistan, a country which witnessed a record-breaking 3,800 civilian deaths in 2018, has been singled out as repressive. The overall state of insecurity in the country where civilians face continuous attacks by state and non-state actors, which include terrorist groups and extremists organisations such as the Taliban, makes public gatherings that much more difficult. Afghanistan has also been ranked as the world’s deadliest country for journalists in 2018 and in 2019 alone, at least three journalists have already been killed. Currently a series of parallel peace talks between the US and the Taliban are taking place in Doha and Moscow, and while agreements between the warring parties bring a possibility of an end to the 17-year long conflict, observers fear that without any guarantees on the respect of constitutional rights in place, the Taliban, infamous for curtailing fundamental freedoms of women in particular, will come back into power. So far the peace talks have excluded civil society groups. President Ashraf Ghani did in fact schedule a Consultative Loya Jirga on Peace, a traditional assembly of Afghans, for April 29 as a platform that will allow 2,000 participants, out of which 30% are said to be women, to express their opinion on the peace process. In the wake of the current widespread anti-government protests, which have been met with excessive force and systematic repression in Sudan, the CIVICUS monitor has rated Sudanese civic space to be closed. The protests began in the north of Sudan in December and soon spread nationwide. They were provoked by widespread corruption and the indignant economic and social state of the country and their key demand is that president Omar al-Bashir, in power for over three decades, steps down. On February 22, the Sudanese government responded by announcing a year-long state of emergency (later shortened by parliament to six months) giving the state extra powers to detain protesters and clamp down on public gatherings. Some measures have included prison sentences for activists of up to ten years and the prohibition of assemblies. The state of emergency also placed great powers in the hands of armed forces, using live ammunition, tear gas and rubber bullets to disperse protesters, even attacking hospitals where injured people are being treated. At least 40 people have been killed as a result of the government crackdowns thus far. Only a day before the announcement of al-Bashir’s potentially temporary resignation on March 1, over 870 people were arrested according to local group ‘The Democratic Lawyers Alliance’ while the date of the party conference has not even been scheduled yet. Venezuela was a likely addition to the watchlist, as the country slips into a severe humanitarian, economic and political crisis amid a wave of repression, with an estimated three million people having left the country. In contrast to the case of Saudi Arabia, the western international community in particular has been pressuring Maduro to step down and a U.S.-led coalition, which includes neighbouring Brazil and Colombia, has been vocal in calling for an end to Maduro’s regime. Last year, close to 13,000 protests – a new record – were staged in Venezuela. Massive anti-government demonstrations against the government of Nicolas Maduro, which began in January this year, have been met with excessive force by the authorities and arbitrary detentions of protestors while journalists and human rights defenders continue to face harassment. In contrast to the case of Saudi Arabia, the western international community in particular has been pressuring Maduro to step down and a U.S.-led coalition, which includes neighbouring Brazil and Colombia, has been vocal in calling for an end to Maduro’s regime, taking the lead in the stance against the Chavista government. With strong international community involvement and the regional implications that any kind of foreign intervention in the country entails (including the distribution of foreign aid blocked by Maduro’s government, which the government claimed was a political ploy by the US), the worry is that the wishes and political decisions of the Venezuelans still in the country, will be largely ignored. The pressure is enormous but also triggers internal resistance and some popular backing of a regime that has no intention in adhering to foreign interference. Venezuelan civilians who have been protesting the deteriorating state of their country are being manipulated by both sides. With increasing involvement of outside actors, it is important that the interests and opinions of the people actually living in the country are taken into account above all else. Tackling the humanitarian crisis provoked by scarcity of food and medicines should be an absolute priority, and human rights abuses must stop in the case that transition negotiations are finally set up. Women’s participation, particularly in Saudi Arabia and Afghanistan, is crucial in guaranteeing that women’s rights will be respected if an institutional change is to take place. Indeed, the case of Armenia where anti-government protests managed to oust president Serzh Sargsyan in April 2018 have seen an unprecedented involvement of young people and women. The involvement of youths in protests around the world is another point to applaud. At the beginning of the protests in Serbia youths played a very active role while in Algeria, where president Abdelaziz Bouteflika just resigned on April 2, the mobilisation also included many youth voices. Although the Algerian protesters have achieved their primary goal of ousting the president, the mobilisation will continue as people demand a long-term solution, which would include a complete revamp of the country’s current political system including a thorough revision of its constitution. The future of Serb protests will moreover show whether the aspirations of those that wish to break-away from the country’s current state, strikingly reminiscent of Milošević’s regime and its control of the media, will be successful. Many protesters, in Sudan for example, have also applauded the international attention given to the otherwise censored protests and the pressure on governments that such global awareness can bring. It is perhaps for this reason that many repressive crackdowns have been unable to break the determination of civilians.